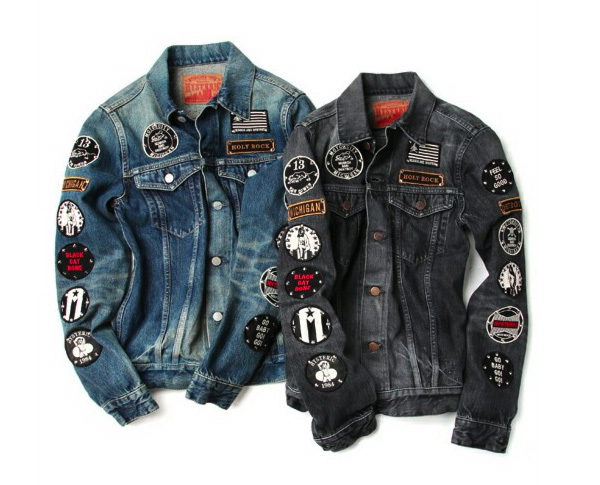 Japanese label HYSTERIC GLAMOUR’s new denim jacket comes pre-loaded with Detroit-centric patches on the shoulders and down the sleeves. It is available in two faded pre-worn color denims — black and blue. You can put your money down for pre-order now for $720 (¥ 58,800). Fantastic Post.many thanks for share..a lot more wait .. a? ?/p>	How to obtain rid of Acne says on	August 18th, 2011 at 8:24 am :	you possess an excellent weblog here! if youd like to have invite posts on my own weblog?